Written and shared by my lovely cousin, Lauren. Check out her blog here! Cheers! Have a happy, healthy weekend! Lately, I’ve been on a real greens kick. Which is a good alternative for all the other kinds of kicks I usually fall victim to…cookie-kicks, Breaking Amish kicks, Taco Bell kicks, etc. But the real reason I’ve been on this fantastic greens kick is simply because I can’t help, but fall in love with all the beautiful produce of the season! 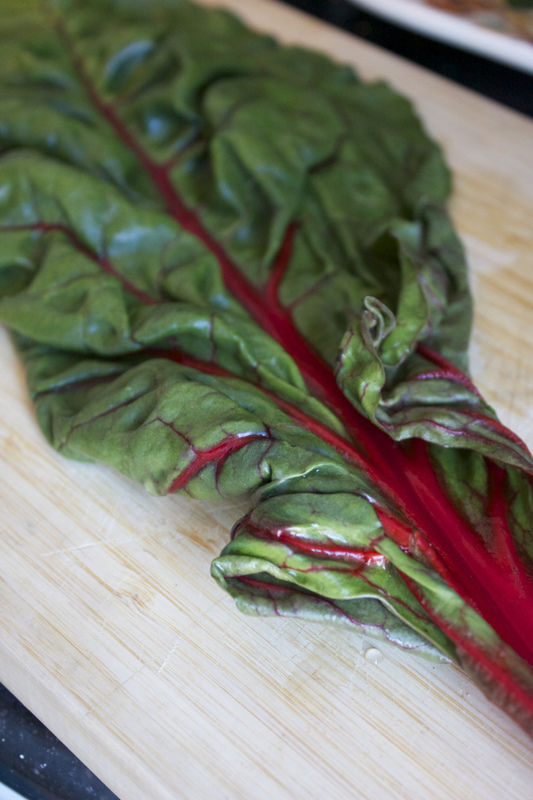 This week, rainbow Swiss chard fell on my radar. Rainbow Swiss chard is one of those vegetables that you look at, and think “Oh this is too beautiful to eat…”. Aside from being beautiful, it’s also quite tasty (oh, it’s also healthy for you too…boring). I cooked my lovely rainbow greens in a pasta dish that could be described as “deceptively light”. 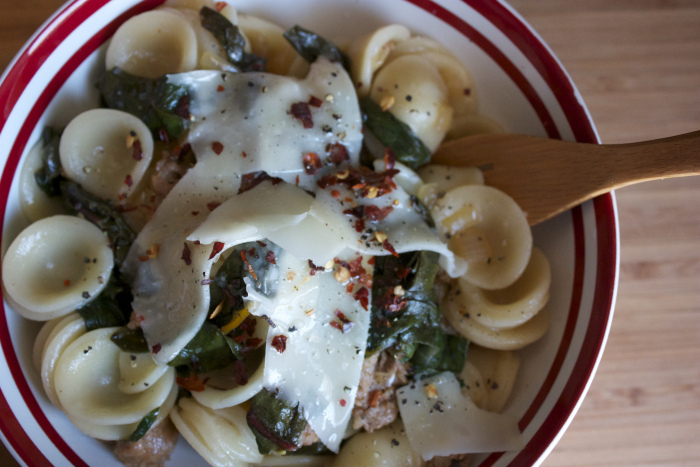 Pasta with sausage seems like a rather heavy dish, but with the Swiss chard, red chili flakes and lemon juice, this pasta is de”light”ful!